Two prestigious prizes for recent Fine Art alumni! On 6 December, not one but two of our recent Fine Art graduates were awarded top prizes in two prestigious competitions. 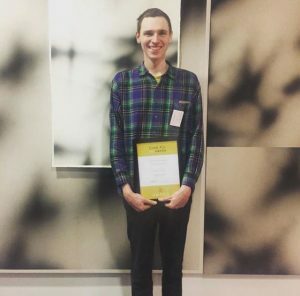 Lucas Dupuy (BA Hons 2017) took home the Clyde & Co Art Award Prize, selected from over 40 recent alumni from five leading art schools as the judges’ selection. The exhibition at Clyde & Co’s east London headquarters also featured work by seven other 2017 City & Guilds of London Art School graduates. 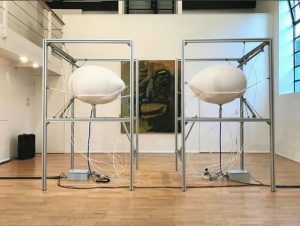 Harrison Pearce (MA 2016) also met with success that night, winning the Young Contemporary Talent Purchase Prize Exhibition for his piece ‘Interview (prototype)’, which was shown earlier this autumn at Dulwich College. Congratulations to both on these wonderful accolades!